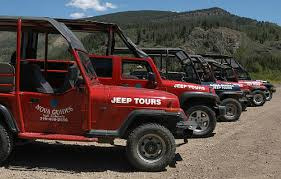 What To Do > Colorado > Breckenridge Summit County > Activities > Nova Guides & Lodge at Camp Hale - Jeep Tours to 12,000 feet! Jeep Tours to 12,000 feet! Experience the magnificent Rocky Mountains in varied locations within the White River National Forest on a scenic Nova Guides' Jeep tour. The knowledgeable guides will take you to elevations of 12,000 feet above sea level in open-air Jeeps. You can also discover historic Camp Hale, the former training grounds of the famed 10th Mountain Division. With photo opportunities of ghost towns, old mining claims, the biggest peaks in Colorado, and wildlife ranging from beavers to moose and all sizes in between, Nova Guides will meet and exceed your expectations. 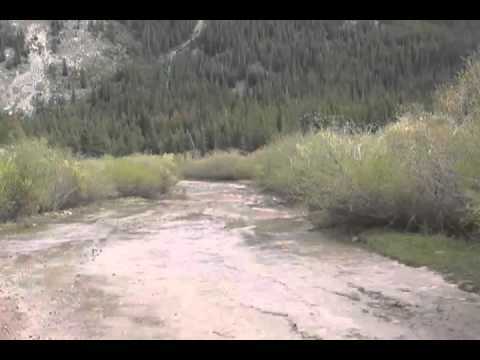 Activity - Jeep Tours to 12,000 feet! Activity - Top-of-the-line snowmobile rentals and tours! Activity - Pando Cabin rentals at Nova Guides.